5,757 total shares. Be the next! Save Heather to your Collection. Register Now! 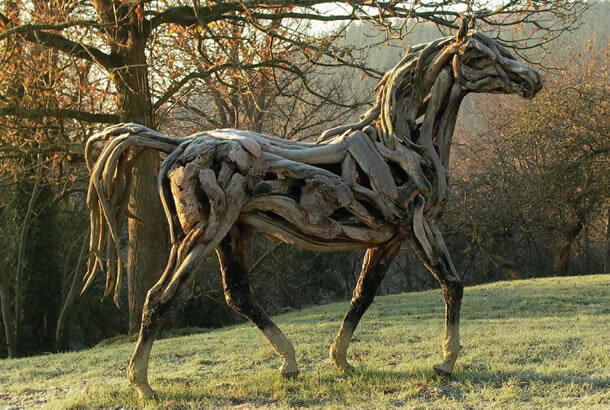 Heather Jansch is a primarily self-taught sculptor based in Devon, England. Jansch struggled in school, but had a passion for drawing and horses. This girlhood hobby became her main focus in later life. 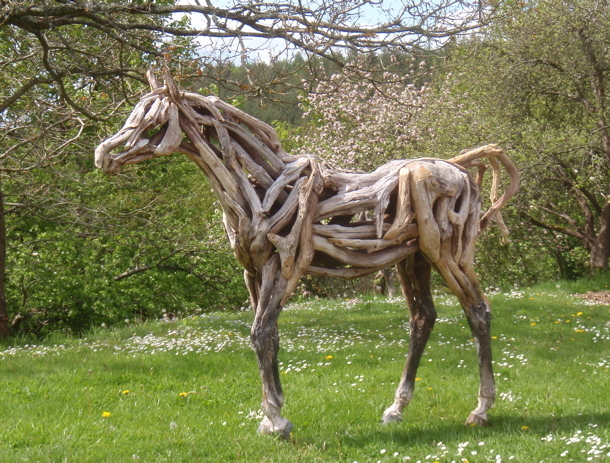 Today she makes life-size sculptures of horses out of driftwood, and occasionally cork. 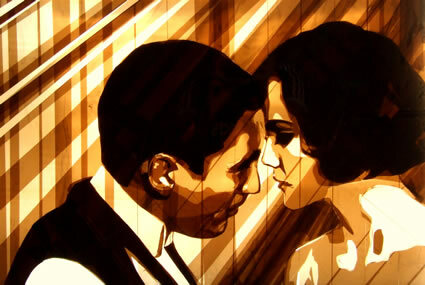 Her chief artistic influence is Leonardo da Vinci. Her work has been exhibited across Europe. "I have a crazy love for horses and Heather Jansch's take on the equine form is just beautiful. Her work is stately and elegant and at the same time organic and earthy. It’s F. W. Reed having tea with Leonardo Da Vinci, with her own special gifts thrown in." This is fantastic work!!! I take art in school, and my teacher loves your work too. It seems like you have such a connection with your work. It's so beautiful. Artists just simply see the world through different lens and we are so fortunate they're willing to share... The vitality and movement of these horses are so realistic! Thanks Heather! These are amazingly beutiful.Heather you are so talented i wish i could see them in person! Very cool. I think it would be hard to make the inside hollow if that was a solid piece of wood. it almost similar to deborah butterfield's work, but shee uses more mixed media :) great job!! There is another sculpture like this one at Pasadena City College; they are very much alike. At first I thought it was the same. I love the grace the horse shows.